Has your child been showing an interest in ballet? Swirling around the kitchen like a graceful (maybe not too graceful, quite yet) ballerina? Have you thought about going out and letting them pick out their very own pink tutu and satin slippers? You should! 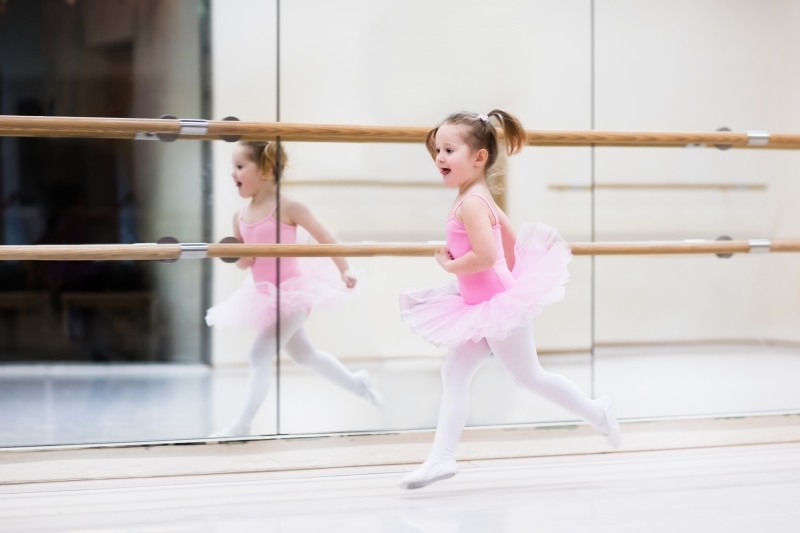 Not only is ballet a great way for your tiny dancer to have fun and incredibly adorable to watch, but did you know that ballet also has many benefits beyond just a great time? Learn more in this blog post and if your kiddo has been moving and grooving around the house, you should contact Move Dance & Fitness today to get them enrolled in one of our kids’ dance classes in Richmond! As your child first begins to start socializing, it can be a scary thing for her! They had gotten accustomed to spending her time with family, and now she has to go meet new people, without the help of mom or dad?! When your child partakes in one of our dance classes, not just ballet, they’ll find themselves in a safe and fun environment with other kids there who also just want to dance! Once they get comfortable, they’ll begin to make friends, and forget all about how nervous they were! This will help teach them that socializing is not a bad thing! While dance is all about fun and learning different styles of movement, we also make sure that our dance classes are structured and that the kids listen to their instructors. In order to progress in ballet, it requires the students to be attentive and follow directions. This type of discipline will carry over into their classroom setting at school and other situations in their time outside of the dance studio. It’s important to teach children about the benefits of living a healthy lifestyle from an early age, and ballet is a great way to do this! Not only is it fun and a great way to get your kid moving, but it also helps them build their muscles and become more flexible and coordinated. As your tiny dancer’s ballet skills develop, they’ll realize that through discipline and hard work, they can do any routine that their dance teacher wants them to learn! This ability to pick up on their instructions and grow into a better dancer day by day will help their confidence grow. This is another benefit that will stick with them through life! If you have ever seen a ballerina before, there is one thing that always stands out (aside from the grace), and that is their posture. Good posture is incredibly important in ballet, and as your child advances, they will learn to gain postural alignment as well as control over their body. Last but not least, enrolling your child in ballet class will benefit the young one because it’s fun of course! While we are making sure that we are helping the children reach their full potential when it comes to their dancing abilities, we never lose sight of the fact that dancing is a blast! At our dance studio in Richmond, we are committed to providing our students with a safe place to learn, dance, and laugh with the other members of their dance family. Along with ballet, we offer a full list of dance classes for all ages! So what are you waiting for, let’s get your child dancing! Look through the classes that we offer to find the right fit for them, and then don’t hesitate to contact us today or just drop on by for a free tour of our dance facility!